Cuba should be on the top destination list of anyone who claims to love travel. From the sweeping green landscapes of the countryside to the warm smiles from the local residents, Cuba is the hidden gem of the Caribbean for Americans but has long been an extremely popular tourist destination for Europeans and Canadians. When planning my most recent trip to Cuba I was amazed at how many people looked at me with confusion and said, “that’s so cool, but isn’t it illegal to travel to Cuba?” Most Americans have no idea how to access this island treasure, so here are some important things to know to make travel plans to Cuba. Nothing like catching a live show and getting to know local musicians. I love to dance and music is an integral part of Cuban culture. First, it is legal for Americans to travel to Cuba, as long as they are traveling under one of twelve different travel categories. For most independent travelers, the category deemed “support for the Cuban people” will suffice. When Americans travel to Cuba, it is illegal to head down to a tropical resort and drink mojitos on a lounge chair for a week. Touristic vacationing and traveling can have very different meanings. Traveling, to me, means getting to know the culture of the place you are visiting. When you travel to Cuba, you get to know both the people and the places that make the island so special. Support for the Cuban people means just that. You support the people by supporting their local businesses. One way to support the Cuban people is to rent a room in a Cuban family’s home (known as a casa particular) instead of staying in a government-run hotel. Staying in a casa particular gives you an inside look at life in Cuba. Casas particulares are generally clean and comfortable, while benefiting the owners by allowing them to earn money for their rental service (think Airbnb). It’s an excellent way to get to know both the Cuban people and the Cuban way of life. I stayed at three different casas on my most recent trip to Cuba, two in Havana and one in Trinidad, and all three were completely different but equally wonderful. Casas can run the full scale from the lap of luxury to a basic rustic room. The most common casas provide you with clean linens, a private bathroom, and use of the family’s home. Some casas are private luxury villas. Most casas will provide breakfast for a nominal fee. Every breakfast we had in Cuba was an abundant feast of local flavors and hot, strong coffee. Another way to support the Cuban people is by eating at locally run restaurants, also called paladares. These small establishments are generally run by families and often use only fresh, local ingredients. Government run restaurants in Cuba aren’t known to have the best cuisine, so stick to the paladares for the best experience and to continue your support for the Cuban people. Your casa owners or local guides can help to suggest the best places to eat so that you can get to know the culture through the food. While the U.S. government has stated that these two activities qualify for the support for the Cuban people license category, they also state that travelers must have a full-time schedule and engage in additional activities. When traveling to Cuba with the category of support for the Cuban people, be sure to document your experiences. Take pictures, keep receipts and keep a log of what you’ve done. It is safest to document your trip in case you are asked by the U.S. government to prove what you were doing in Cuba. The Cuban government, on the other hand, welcomes American travelers, and you will not have to show any documentation in Cuba, other than your passport and Cuban tourist visa. There are Americans visiting Cuba just like anyone else. When I returned from Cuba last week my experience coming into U.S. customs was a breeze, just like when I return from any other country, but it is good to cover all of your bases and be prepared for anything. 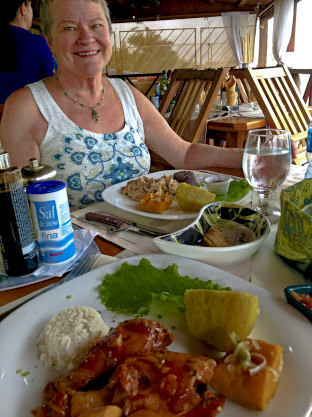 If you’d rather not worry about figuring out how to navigate the travel restrictions, hire an experienced travel outfitter like CUBA CANDELA to take care of everything for you. 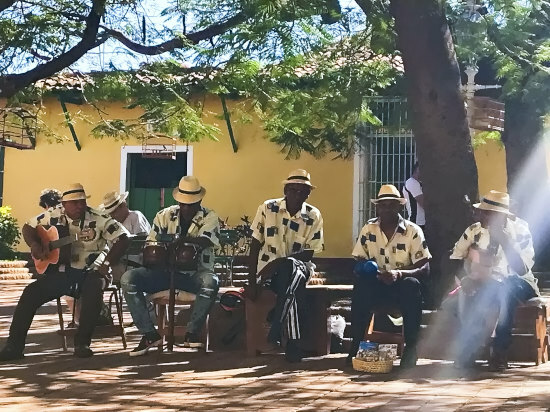 Exploring the sites, history and rhythms of Trinidad, Cuba was incredible. This quaint colonial town is 1 of 9 UNESCO World Heritage Sites on the island. Traveling to Cuba involves more planning than other destinations because U.S. credit and ATM cards do not work, and the internet is unreliable. Americans often find it best to bring Euros as their currency, available for purchase at most local banks in the U.S. American dollars come with a 10% tariff when exchanged for Cuban pesos, so you will likely save some money when converting money to Euros first and then into pesos. Cuba has two forms of currency, one for tourists (the CUC or convertible peso) and one for Cuban nationals (the CUP or national peso). Things for sale are often listed in both currencies, and it is understood that foreigners will pay in CUCs. Be sure to come equipped with plenty of cash for your trip. Tipping of 10% is expected at restaurants. When you arrive in Cuba you will be asked for your “tourist visa.” The card costs $50-100 and you purchase it at the airport as you check in for your flight. It is important to keep this card with you for your departure. An attendant at the Havana airport told me that if you lose your tourist visa you wouldn’t have a problem leaving Cuba, as long as your passport was also stamped upon arrival, but I would still be careful not to lose it and avoid any delays that could lead to a missed flight. Cuba is an excellent place to visit, full of beautiful scenery, fascinating history, and some of the friendliest people anywhere. It is both easy to get to and unbelievably relaxed when you arrive. I have been back for a week now and I am still feeling the island in my body, helping me not feel as stressed in the hectic day to day of American life. Cuba has countless opportunities for creating a memorable travel experience and is worth every penny.